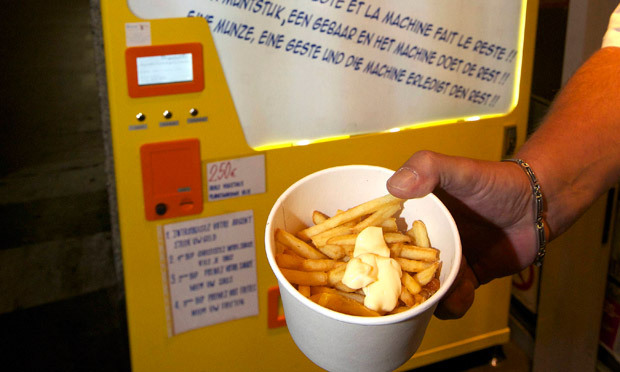 In just 95 seconds, this coin-operated vending machine can fry up an individual serving of hot frites –using beef fat not vegetable oil– on demand. Each serving comes in a paper cup with a fork and is offered with either mayonnaise or ketchup. 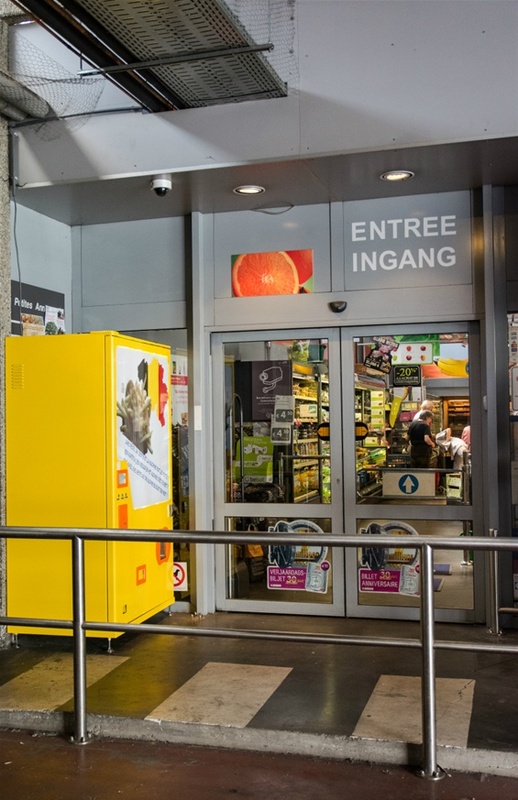 The machine is a creation of Belgian company BreakTime Solutions and is located at the entrance of a supermarket in Brussels.